We have a new range of tubs! A source of pleasure and well-being, the spa invites you to your home. Over the years, it has been able to democratize itself to integrate both inside and outside your home. The Tropic Spa brand specializes in this area and offers products to meet all your needs, to relax at any time of the day. Tropic Spa introduces the new Hurricane Spa range. With this series, the brand has achieved a high level of quality in wellness products. The Hurricane range is a line of medium and large outdoor spas. 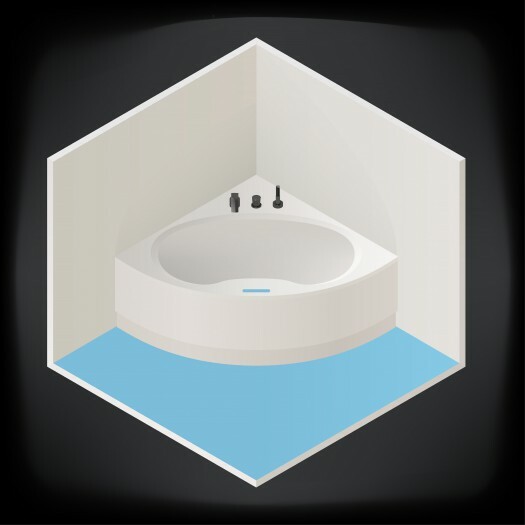 Equipped with the new control panel, it has never been so easy to use a jacuzzi bathtub, and you can enjoy your wellness sessions accompanied by music broadcast by the exclusive Shark Tech stereo system that can connect via Bluetooth to your music broadcasting devices. There are several models of Hurricane spas: from two to four seats with Hurricane-V102, Hurricane-V081 and Hurricane-V058. And up to eight seats capacity with the Hurricane-V160L spa ! Suitable for all space configurations. The Hurricane-V160L has an elongated levitated position. The place in levitation is unique and incredible, it allows you to be 100% lying in total levitation. With its LED illuminations and waterfalls, the Hurricane range offers a discreet design that suits any environment whether indoors or outdoors. This luxurious spa offers the best hydromassage and is equipped with adaptable jets with 6 levels of intensity control. The spa is equipped with skimmer and cartridge filter activated by a low-consumption filtration pump. Two pumps and a blower ensure the massage.Hurricane also offers chromotherapy with its 54 LEDs, head rests, fountains and a champagne bucket for a luxurious relaxing atmosphere.